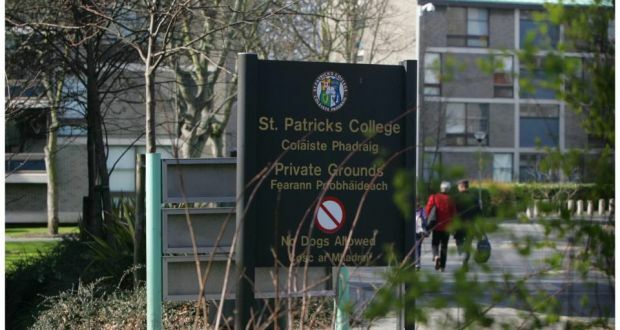 St. Patrick's College Drumcondra will operate alongside Church of Ireland College of Education in DCU's new Institute of Education. Dublin City University will offer two alternative pathways to students wishing to enter a primary school teaching course this year, with a determining factor in the review process being whether or not an applicant is of a Catholic, Protestant or other religious background. Whereas St. Patrick’s College – a traditionally Catholic institution – had previously offered a B.A. in Primary Teaching Education (DC002) and the Church of Ireland College of Education – a reformed Christian institute – a similar Bachelor in Primary Teaching (DC004), DCU will now oversee both courses which will operate independently of one another, with the predetermining factor of which religion an applicant identifies with being considered in the review process for DC004. It comes following the Incorporation Programme of St. Patrick’s College Drumcondra, Mater Dei Institute and the Church of Ireland College of Education into DCU this year, with the amalgamation being overseen by the National Strategy for Higher Education on the basis of a shared vision between the separate institutions. The legality of the situation under grounds of religious discrimination found in the Employment Equality Act 1998 is disregarded due to then Minister for Education Ruairí Quinn’s decision to reserve 32 places in CICE solely for Protestant students in 2013 in order to maintain the religious ethos of the college. The descriptor for DC004 states: “Restricted entry pathway for Church of Ireland, Methodist, Presbyterian, Society of Friends, Baptist and other reformed Christian applicants. A 30 point difference exists between the denominational courses for those applying via the Central Applications Office (CAO) this year. Unlike DC002, formerly of St. Patrick’s College, DC004 does not require its applicants to have completed Honours Level Irish in their Leaving Certificate, meaning an applicant with 460 points and Higher Level Irish could fail to secure a place in DC002 while an applicant with 435 points and Ordinary Level Irish could gain entry into DC004 were they of the Protestant faith. Points for CAO courses are determined by demand and places available. This process determines why DC002 required 465 CAO points in 2016 and DC004 435 given the higher proportion of students applying to St. Patrick’s College. Unlike DC002 however, applicants to DC004 must complete a qualifying interview before being considered for a place in the programme. Following completion of either course, successful graduates will be fully qualified to teach in primary schools across Ireland. Both degrees will enable graduates to register as primary school teachers with the Teaching Council of Ireland. ‘For the purposes of this Act, discrimination shall be taken to occur where… one person is treated less favourably than another is, has been or would be treated. However the Act also gives the Minister for Education power to override this prohibition by issuing a special order in cases involving schools and hospitals. This was used by then Minister for Education Ruairí Quinn in order to reserve 32 places for Protestant students in the Church of Ireland College of Education in 2013. His directive is based on Section 12(4) of the same Act which states: “for the purposes of ensuring the availability of nurses to hospitals and teachers to primary schools which are under the direction or control of a body established for religious purposes. Mr Quinn’s order will remain in place until the conclusion of the 2017/18 academic year.